Are you are passionate about playing online casino games and already spend lots of your free time visiting land-based ones? The logical next step could be to consider creating a gambling room in your own home, assuming you have a free room that you can use for this. 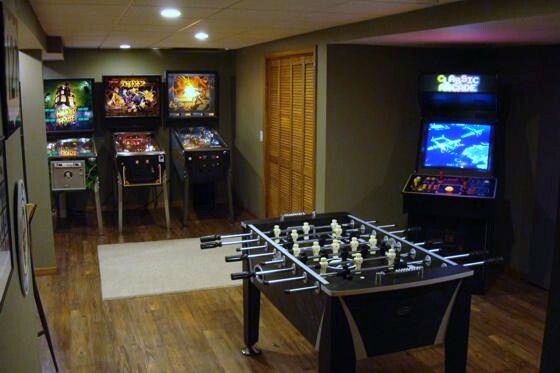 If you do (or you’ve managed to persuade whoever lives with you that you do) then the first step to creating your ultimate gambling room will be to work out what games you want to feature in it and how much you can fit in. Certainly a poker table is a feature of the majority of gambling rooms. This is because poker is one of the most popular casino games and it is also something that you can spend an evening playing with friends. Indeed modern gambling rooms sometimes have computers in them. This is so that people can play games like poker at an online casino as well, although this is obviously not essential. You can also include other casino features like a roulette table or a slot machine, although a lot will depend on the size of the room. If you can fit in a slot machine it makes sense to have one, as that way you can still use the gambling room at times when you do not have any visitors. Although you may think of gambling rooms as solely being places to play casino games, they’re not. Many of them also have other features including: snooker, pool or ping pong tables. Don’t forget, you can still bet on these games with friends to add to the excitement. But unless you have a very big room, you will probably be limited to one of these tables at most. It is important to ensure that you leave enough room for yourself and guests to be able to use the room comfortably. With this in mind, you might want to consider devoting a small amount of space to either a little microwave or fridge so you can provide food and drinks.